ONE MAN, ONE WORLD, NO TURNING BACK! Imagine pedaling a human powered recumbent tadpole tricycle around an entire planet! Well, that is precisely the plan of one intrepid trike pilot by the name of Matt Galat, who has initiated this bold endeavor on his HP Velotechnik Scorpion fs20 trike. And to this challenge, Matt has added a trailer in tow, necessary to haul all his heavy professional cinematography gear so that you can happily follow his travels right here on your computer screen at home! Yes, you will see the planet upon which we all live in a way never before beheld, from the reclined seat of a tricycle! Around the world in 80 days? No, but how about around the world in 5 years! Oh, and little side activities will also be included, such as climbing Mount Everest while he is in the neighborhood. Gee, this is wild and crazy stuff! Now that Matt has everyone straight about what this is all about, let’s move on and watch his mega adventure unfold. Remember, even though we are safe at home as we watch these documentaries, there is a real live human out there on an immense planetary orb, pedaling towards his dream of a lifetime. He is facing all the joys and adversities that are part of the package when one chooses to do what others dare not contemplate. Matt is vulnerable. Whether he executes his plan precisely as created, or whether he must at some point ultimately abandon it for some presently unknown and unforeseeable reason, Matt is an epic success story! 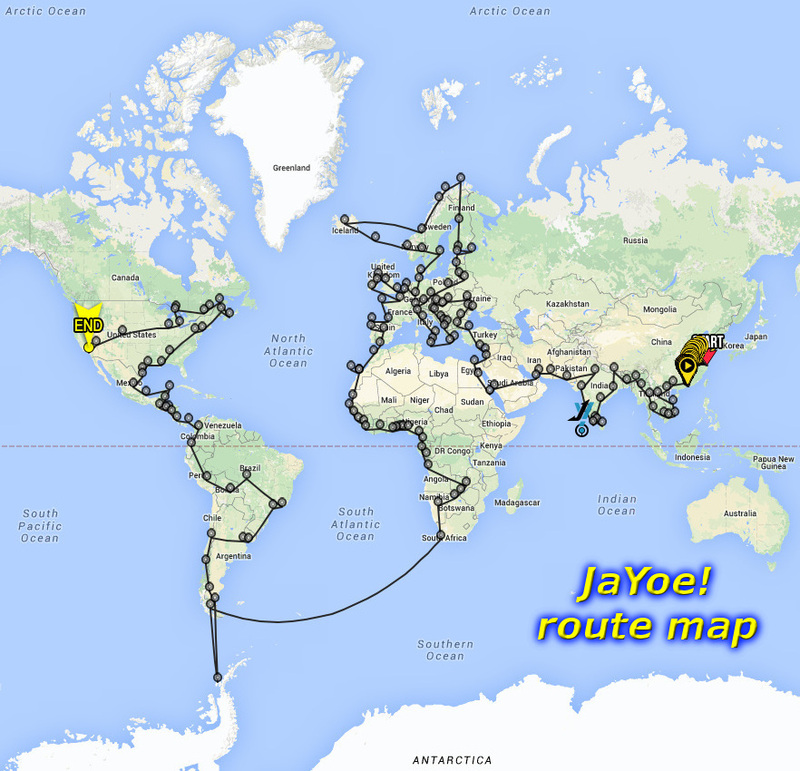 There is no such thing as failure here – Simply by setting out on this overland trike journey, he has fully succeeded! Matt Galat is one man who will never be counted among those who know neither victory nor defeat. Matt will experience it all. JaYoe! Click HERE to proceed to the 2014 portion of this journey. Click Matt’s nose if you wish to contact him!